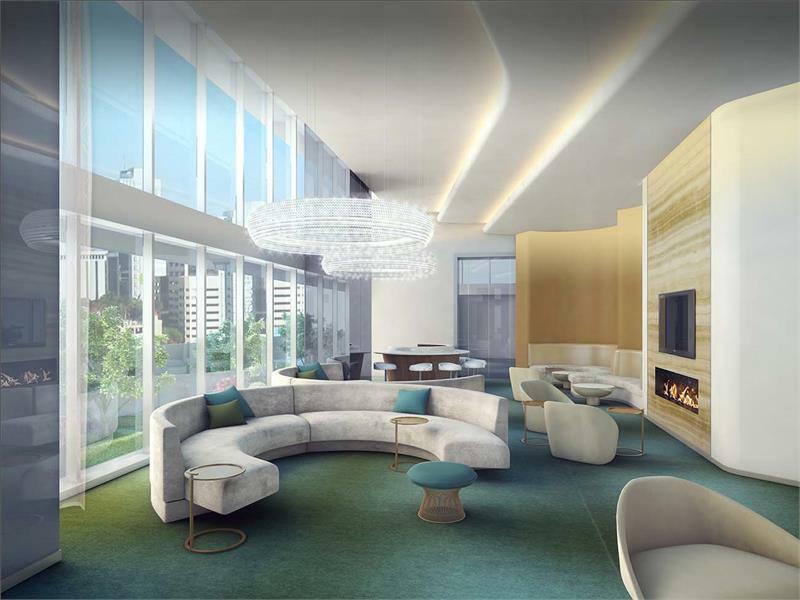 The new renderings show a sleek building fit for a forward-looking Theater District. Indeed, the August Wilson Theater is adjacent to the building’s south side. On the exterior, huge windows and a curved footprint separate the building from its neighbors. It appears that most units will have balcony access with generous square footage. Multiple wrap-around levels of green space suggest the building will have a walkable community feel. 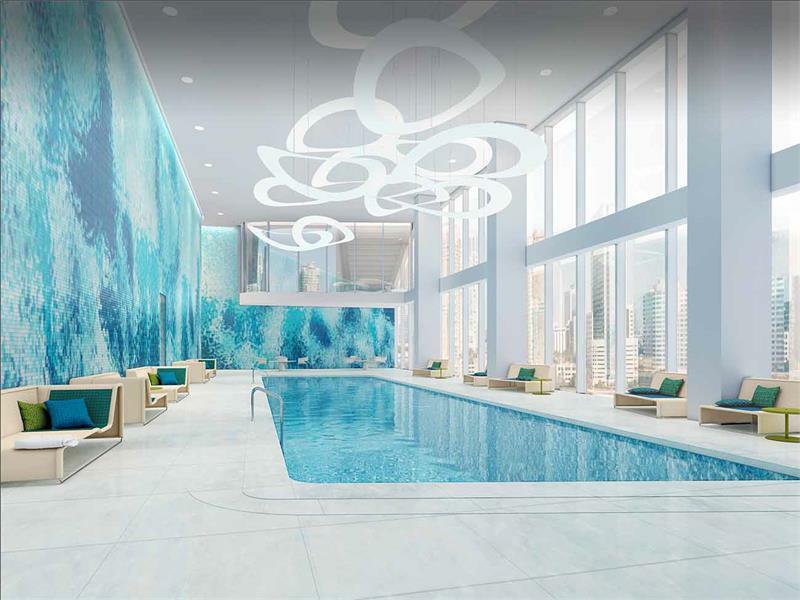 Renderings also show a luxurious triple-height pool, multiple lounge areas and a modern fitness center. 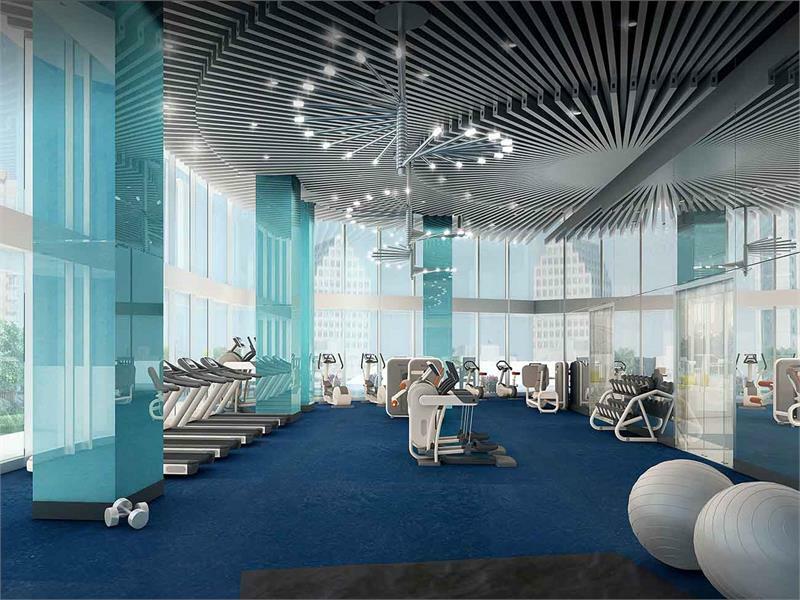 Looking forward to suite renderings! 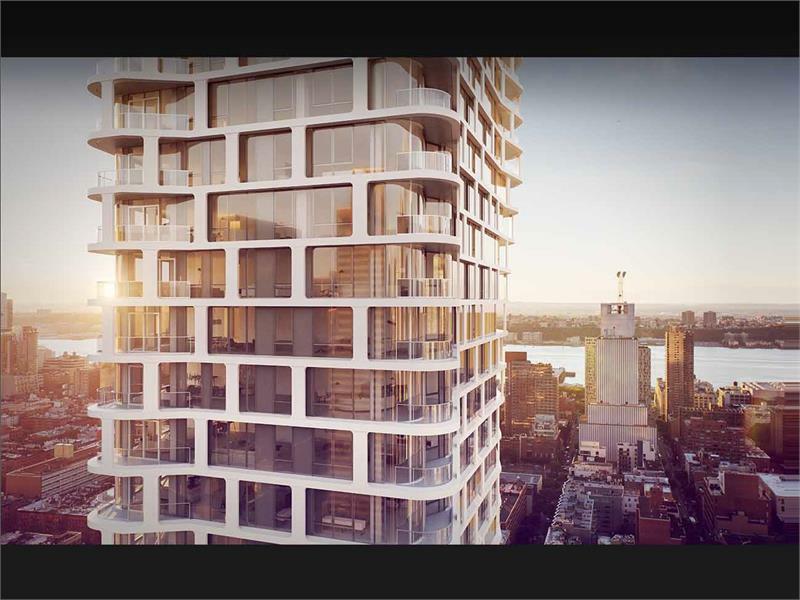 Follow this development to stay up-to-date and see more new renderings below.